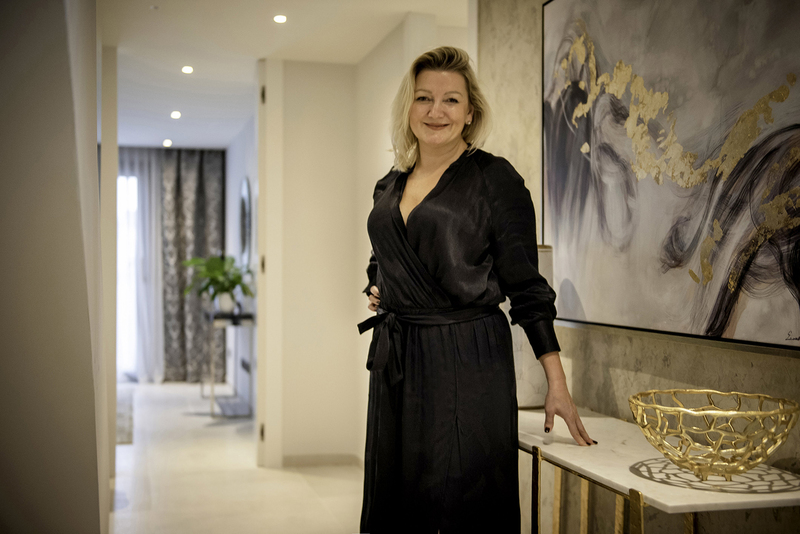 Today, we introduce to you the woman behind one of the most noted interior design brands on Costa Del Sol, Sally Blackshaw! Sally's passion for design emerged already at a young age. Therefore, she decided to pursue a degree in the London Institute. Also known as one of the UK's most prestigious design schools. After that, she moved to Spain, where she worked for high-end quality brands like Armani and Fendi casa. She believes that her experience with high profile designers has set her level of quality in design. Subsequently, she always tries to make the best decisions taking into consideration different characteristics and the available resources. At Blackshaw, each project is taken as a completely new experience. Moreover, Sally's work philosophy circles around client relationship. She puts time and effort into connecting with the client and truly sensing their style. Her unique and constantly evolving style is shown through her ability to create inviting spaces. For instance, the use of elegant, simple features and luxurious materials is one of her trademarks. All in all, her aspiration is to deliver comfortable, personal and stylish spaces that are fully in-keeping with the client’s lifestyle. Watch the interview with Sally Blackshaw and get to know more about her and the brand!